Welcome to Paint Stripers. 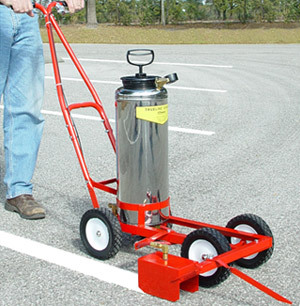 Experts in the Parking Lot Striping business with over 30 years of experience. 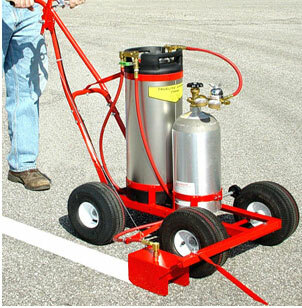 The Trueline family of paint stripers are rugged, affordable and capable machines. And most of all they are trusted to do the job when other machines breakdown or fail. They are the best priced commercial machines on the market and fully capable of doing commercial work. Because the stripers are built with simplicity in mind, any one can work on the machine and downtime is near zero. Trueline Stripers have been built by Trusco Manufacturing since 1964. The company has an excellent reputation for service and quality. We use their machines in our operation and highly recommend them to our customers. Please contact me at steve@colebrothers.com or 850-934-3157 with any questions.